An Original Acrylic Painting by Colorado Springs Artist, Jacqueline Pearson. She combines both graphic and organic shapes in this painting in order to give it a pleasing flow. 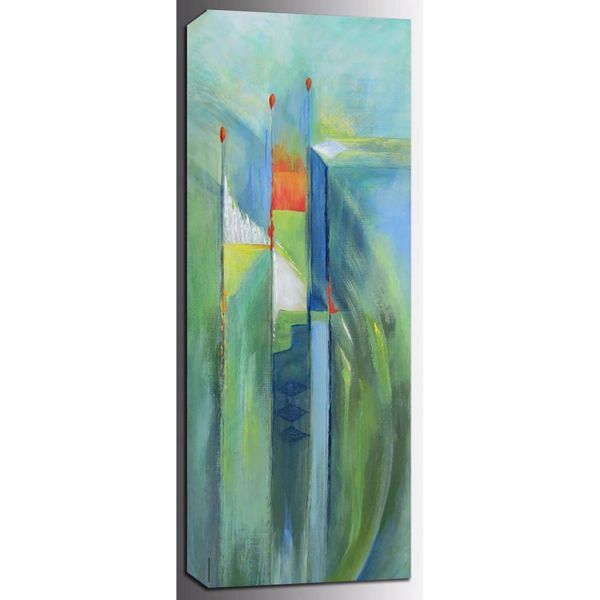 The soothing greens and blues with just the right touch of vibrant warm colors makes this painting the perfect fit for your bedroom, den, office or family room.